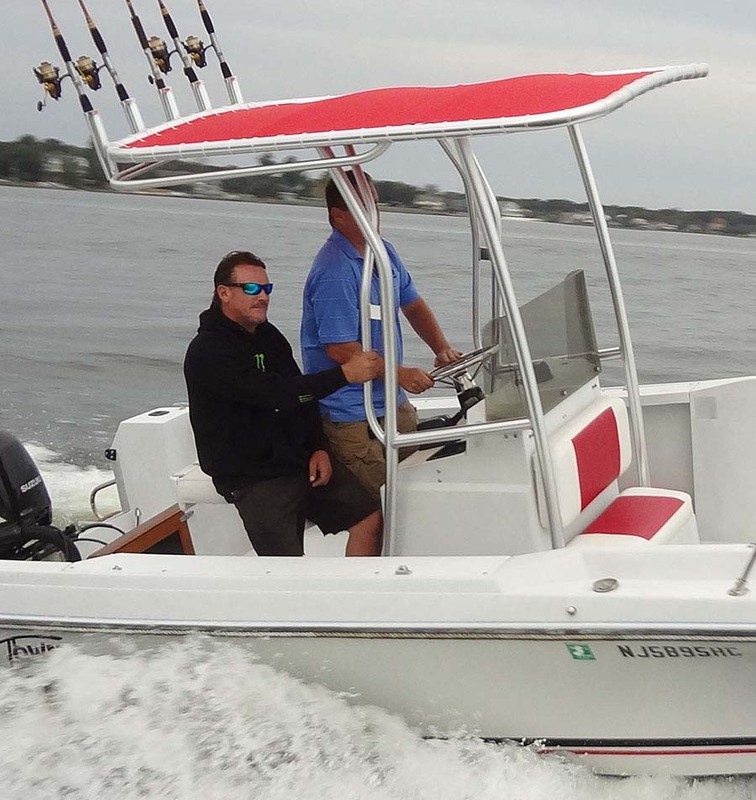 Will an Atlantic Towers T-Top fit on your Boat? 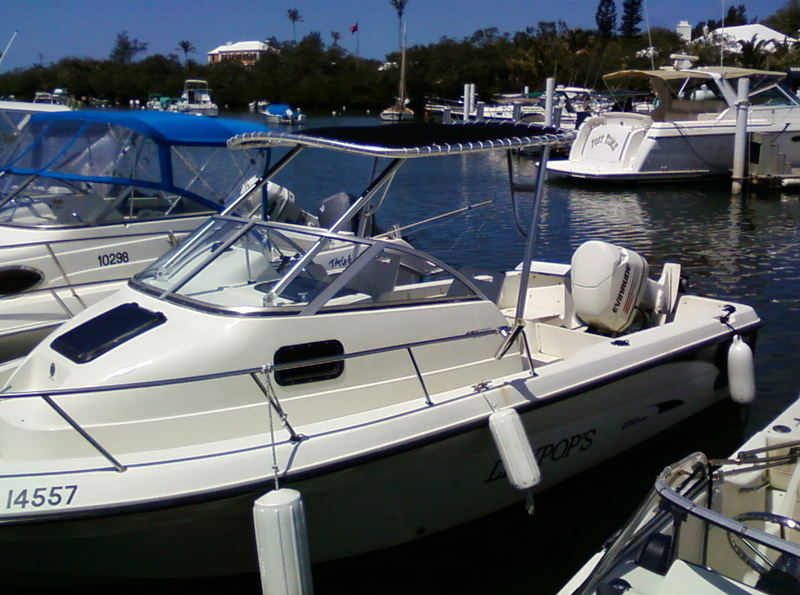 Click the link above to see some of the many customers boats that have installed "Tower in a Box" T-tops. New Lower Pricing Radius T-Top , Tee Top. All New Radius T-Tops introduce curved style in every piece of aluminum. Your choice of five standard Sunbrella Fabric colors or fiberglass hardtop. Available welded rod holders and full range of accessories. 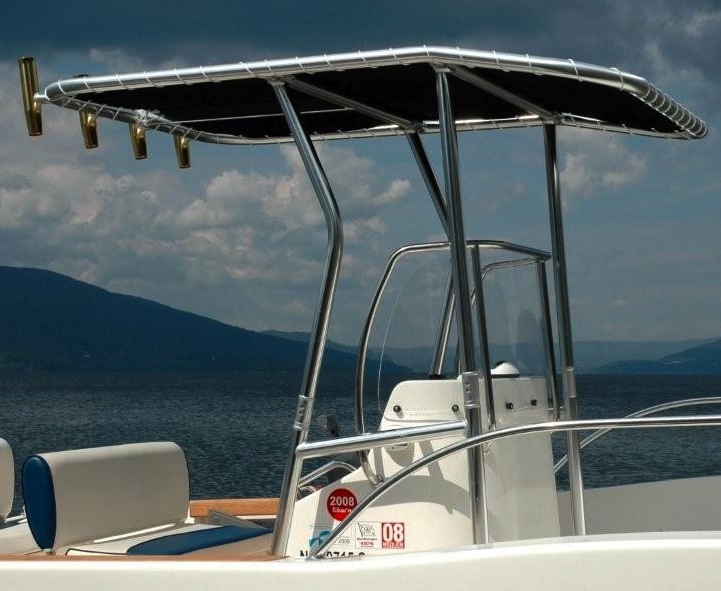 Starts at $1699 in Sunbrella, only $1999 for fiberglass hardtop, 4 welded rod holders included. z New Lower Pricing Radius Pro T-Top, Tee Top. All New Radius T-Tops introduce curved style in every piece of aluminum. Welded hand rails and your choice of five standard Sunbrella Fabric colors or fiberglass hardtop. Available welded rod holders and full range of accessories. Starts at $2199 in Sunbrella, only $2499 for fiberglass hardtop, 4 welded rod holders included or "super size it" with the Radius Super T-top. Commercial Duty Fiberglass T-Top, Tee Top, Super Strong adjustable fiberglass T-top available in two sizes. Double reinforced welded joints. Fully molded hand laid fiberglass top. 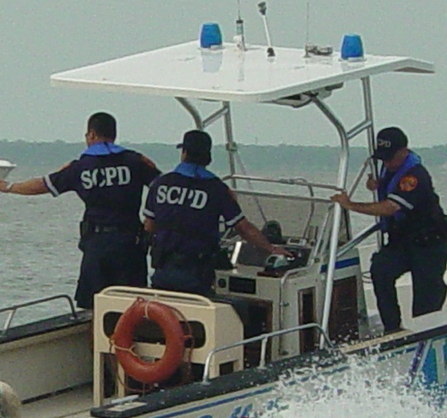 Built for the most demanding commercial service with fire/rescue, life saving, marine construction and military users. Starts at $2299. 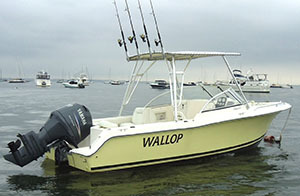 Walkaround Tee, T-top for Walkaround fishing boats. 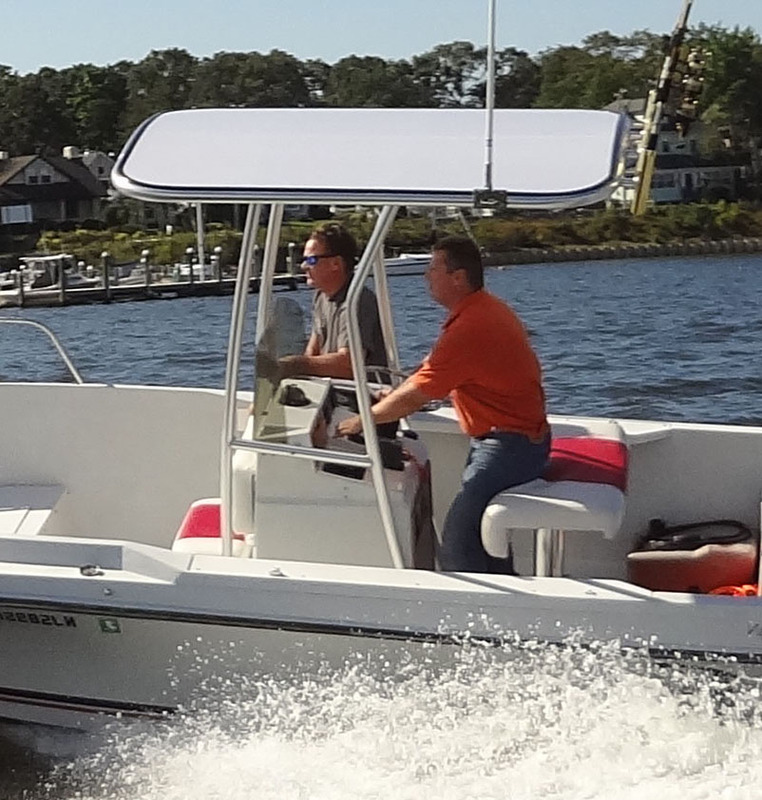 Ground breaking new design brings T-Top, Tee Top convenience to owners of Grady, Pro-Line, Hydra-Sports, Aquasport and other walkaround boats. Same High Quality 2" marine grade pipe and anodizing used in our Trampoline T-tops, Sunbrella fabric tops available in a choice of colors with zipper for plastic enclosure already sewn in. $1999 - 4 rod holders standard. 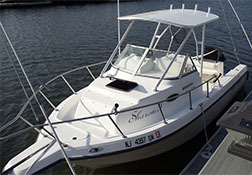 WalkAround Tee Hardtop, Our Fiberglass T-Top designed for nearly all walkaround boats to 25'. Ground breaking design brings T-Top, Tee Top convenience to owners of Grady, Pro-Line, Hydra-Sports, Aquasport and other walkaround boats. $3199 - 4 rod holders standard. The SunTop measures 82" wide, 82" long. Fully adjustable, with all mounting fittings and hardware for a normal installation included. Every Suntop II is fitted with a full size reinforced mounting pad for a radar antenna, and is available in a full range of accessories. Starts at $3099.